After starting Crossfit (I know I know the first rule about CrossFit bang on about it as much as humanly possible to anyone that will listen…this is the response I get from my husband the minute CF even enters my brain!) and I understand it, but after moving to Houston I’m finding it more and more difficult to avoid putting on weight, my clothes are getting tighter and I’m becoming less toned. Therefore I’ve decided to sort myself out BEFORE the end of the year, I want to be going into the new year, 2015 feeling good about myself and my body! I am trying to be smarter with my snacks, I usually just have a banana or yogurt covered cranberries or raisins, but I need to eat snacks that will help my muscle build up before intensive work outs. Now we all know how expensive protein and fitness bars are. So why not just make them yourself?! 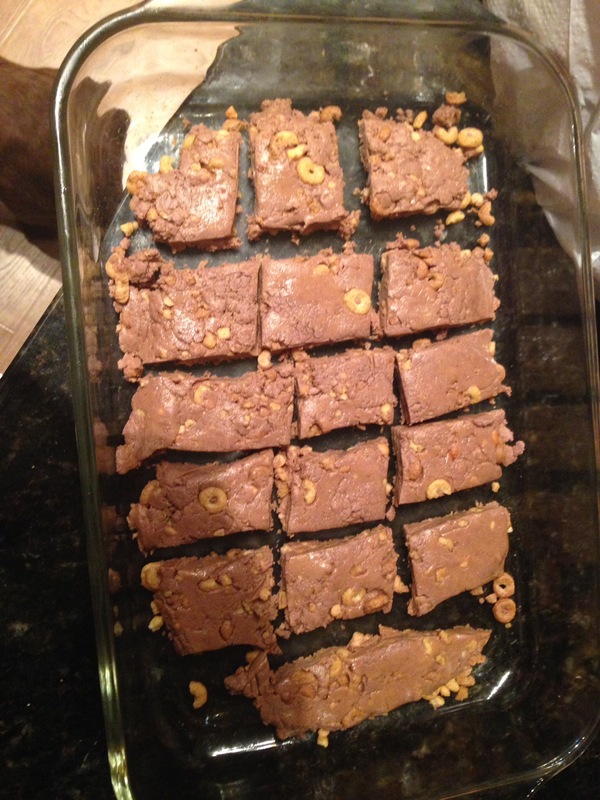 Here is a simple recipe to help you guys out… Hope you like peanut butter!! 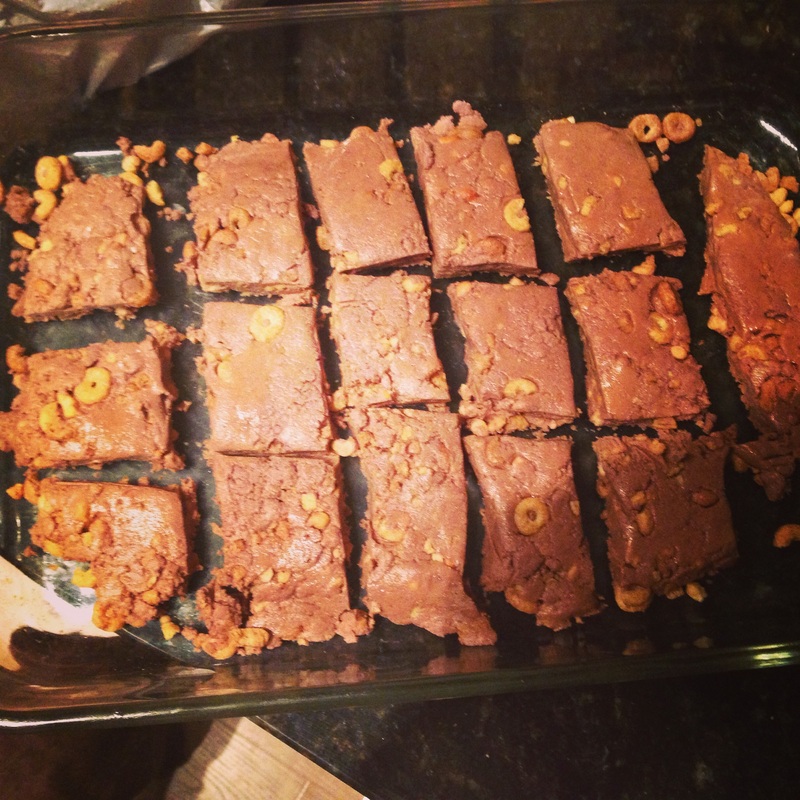 This literally took me 10 minutes to prep last night and I left them over night in the fridge, so this morning after my crossfit session they were a tasty treat!! In a large bowl, combine and mix protein powder, cereal and chia seeds. In a small bowl, combine the peanut butter, milk and honey. Microwave for 30 seconds, stir and microwave 15-30 sec more. Add liquid mixture into dry ingredients and stir to combine. Add water if necessary to make sure all dry ingredients are moistened. (Mixture will be crumbly). They might not look the best 1st attempt you gotta give me that!! But they do the job, they don’t need to be big bits either. Let me know if you try this! It’s a perfect idea and I’m sure my husband will thank me for it also!! I absolutely love your blog and find almost all of your post’s to be exactly I’m lookking for. Does one offer gues writers to write content for you? Hello i tried to reply the other day just not sure it posted! Would love your input and thank you for your kind comments. Previous Entry Tips To Make Your Brows Pop!